Basic BI reporting still gives businesses valuable information. But its value can be increased by incorporating it into a broader analytics and data visualization platform. Traditional business intelligence isn't the most exciting technology on the BI and data analytics spectrum these days, but that doesn't mean the value of BI has diminished in today's enterprise -- it just needs some augmenting to pay real business dividends. "Business intelligence is changing, and in order to be competitive, we found that we had to change with it," said Rory Abbazio, portfolio director of data analytics and cloud innovation at electric and gas utility company National Grid. The biggest change to occur in the last few years is the shift to self-service BI, an approach that is now the de facto standard for new applications. This change has devalued basic reporting in the eyes of some users and elevated user-driven data exploration, analysis and visualization. Traditional reporting isn't dead, by any means. For example, Abbazio, speaking at the Gartner Data & Analytics Summit 2018 in Grapevine, Texas, said he and his team still build and maintain canned reports and executive dashboards. But to make a bigger impact on business operations, he said, those types of things need to be incorporated into a broader analytics platform that also includes self-service tools and advanced analytics technologies. "We wanted to enable all the capabilities on the analytics spectrum instead of just focusing on reports," Abbazio said. "We wanted to open ourselves up to emerging things like AI and augmented intelligence, too." To do so, his team built an enterprise analytics portal that functions as a one-stop shop for everyone's data needs at National Grid. The web platform provides BI reporting and self-service data visualization functionality via Tableau and incorporates Alteryx software for data preparation. It also includes intensive data science tools, among them R, Python and H2O. Conference attendees participate in a discussion at the recent Gartner Data and Analytics Summit. Abbazio said the point of bringing all this together is to acknowledge that the old roles of information consumers, BI report developers and data scientists are merging. To ensure the continued value of BI and data visualization, people need to be able to access the right data and conduct the analyses they need to do, regardless of their role, according to Abbazio. "There aren't just simple end-user consumer roles, but many that have to be facilitated," he said. Enterprises across industries are dealing with this kind of shift in roles associated with reassessing the value of BI and analytics use. As more companies adopt data-driven business strategies, the number of line-of-business workers who need access to data and to data analytics and visualization capabilities is increasing. James Richardson, a Gartner analyst, said this is forcing organizations to adopt new models for delivering such capabilities. The traditional model of IT-delivered BI reports doesn't work in the modern enterprise because it takes too long to develop and deliver even static reports that have limited utility, Richardson said. But the shadow IT approach, in which business units implement their own BI and data visualization tools, creates redundancies and data silos, he added. Richardson instead recommended a hybrid approach, which involves creating a centralized analytics team that sets governance policies, best practices and tools preferences. Then, decentralized teams that are embedded in business units and report to the centralized group lead BI, analytics and visualization initiatives on behalf of individual operations. "This represents the reality of what happens," Richardson said. "People always used Excel to analyze data in a distributed way. What we're saying now is, we can provide you better tools." Joao Tapadinhas, a Gartner analyst who also spoke at the summit, said building flexibility into analytics platforms is key to maximizing the value of BI and data visualization today. The typical function of BI, monitoring key performance indicators to understand how your business is performing, is still important -- but it's not going to revolutionize a business, Tapadinhas said. As a result, he recommended incorporating it into higher-value capabilities. Automation is going to drive a lot of this, according to Tapadinhas. He said that as software vendors incorporate advanced machine learning and AI into their platforms, enterprises will be able to put certain BI functions on autopilot, enabling users to simply check in on some predefined metrics when the information is needed rather than requiring teams of developers to build and maintain reports. 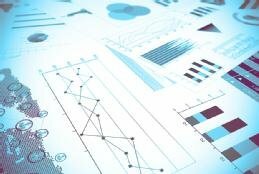 "The tools that you have today -- Qlik, Power BI, Tableau -- those tools will be able to support a wide range of analytics capabilities," Tapadinhas said. How are you incorporating BI and analytics tools into a single platform? Well-designed data visualizations can enable executives to make more-informed business decisions, increasing the potential ROI of BI and analytics applications. Data visualizations need visual integrity to ensure that the data they present can be interpreted correctly. Follow these design steps to help make visualizations trustworthy. The core products of Tableau and Qlik are starting to resemble each other more as the need for strong data visualization and scalability crystalizes. But differences remain.